Have we got TV Guides for you! 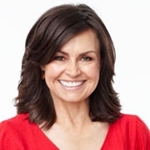 Network personalities Melissa Doyle and Lisa Wilkinson are among the many Australians to feature in this year’s Australia Day Honours List. She is noted for her work with World Vision, Variety — The Children’s Charity, the Make A Wish Foundation, Alannah and Madeline Foundation and the Westmead Children’s Hospital. She has been a journalist and presenter with the Seven Network since 1995, and prior to that was a journalist at Prime Television. As well as Seven News and Sunday Night her hosting credits have included over a decade with Sunrise plus Where Are They Now?, Australia Unites: Reach Out To Asia, The Zoo and TV Turns 50. As well as co-hosting Today since 2007, Wilkinson’s television career has also included Beauty And The Beast, The Morning Shift, Weekend Sunrise and Carols By Candlelight. In 2013 she presented the annual Andrew Olle Lecture for the ABC. 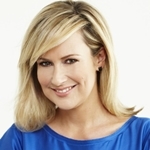 She is also noted for her extensive work in the print media, including senior roles at magazine titles Cleo, The Australian Women’s Weekly, Dolly and more recently for online outlet The Huffington Post Australia. She is an ambassador for various causes and charities including Barnardo’s, The Big Issue Women’s Subscription Enterprise, the National Breast Cancer Foundation, Murdoch Children’s Institute, Jamie Oliver’s Ministry Of Food and The Ingham Institute. 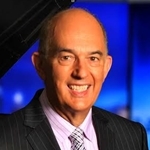 Richard Ackland — “For significant service to the print and television media industries, particularly through reporting on legal issues, and as a publisher.” Ackland has worked extensively in print media and for the ABC, including hosting Media Watch in 1998 and 1999. Tina Arena — “For significant service to the music industry as a singer, songwriter, and recording artist, and as a supporter of charitable groups.” Arena began performing back in the 1970s as a cast member on Young Talent Time. Having been a successful recording artist and performer since graduating from the show in the early 1980s, her career came full circle in 2012 when she was a judge on the revived Young Talent Time. In 2015 she was inducted into the ARIA Awards Hall Of Fame. Vincent Ball — “For service to the performing arts.” An actor since the 1940s, Ball’s television credits include Home And Away, All Saints, Grass Roots, Blue Murder, GP, The Flying Doctors, Bangkok Hilton, The Dirtwater Dynasty, Vietnam, Anzacs, The Last Bastion, Bodyline, A Country Practice, Homicide, The Young Doctors and Against The Wind. Patsy Biscoe — “For significant service to the performing arts, and to the television industry, as a children’s entertainer, and to the community of the Barossa Valley.” Biscoe has been a children’s entertainer for over 30 years, featuring in television productions including Here’s Humphrey, Channel Niners and Fat Cat And Friends. Harvey Broadbent — “For significant service to the literary arts as an author and publisher, to the television industry as a producer, and to tertiary education.” Broadbent was a producer and executive producer of various ABC productions between 1977 and 1999 — including Play School, Victory In The Pacific, Gallipoli 75th Anniversary, Timeframe and Encounter With Neptune. Samuel Johnson — “For service to cancer research support organisations, and to the performing arts.” Johnson has starred in television dramas including Home And Away, Blue Heelers, Something In The Air, Halifax fp, After The Deluge, The Secret Life Of Us, Rush, Underbelly and Paper Giants: Magazine Wars. 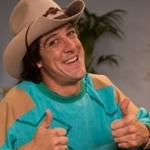 He is soon to appear (pictured) as Molly Meldrum in the biographical mini-series Molly for the Seven Network. In 2014 he rode a unicycle 15,478kms around Australia to raise over $1.4 million for breast cancer research and awareness, following his sister’s diagnosis with the disease. Brian Mallon — “For distinguished service to the community, particularly to children, through roles with medical and charitable foundations, and to the broadcast media industry.” Mallon was Managing Director of HSV7, Melbourne, from 1989 to 1997. 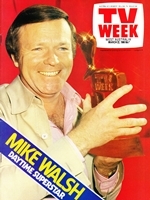 Mike Walsh — “For significant service to the entertainment industry, and to the performing arts through support for young actors, theatre restoration and production.” Walsh’s career began in radio before moving to television — most significantly as host of The Mike Walsh Show, which ran for over 2000 episodes from 1973 to 1985. For two consecutive years in the late 1970s he won the Gold award at the Australian TV and Film Awards, the Sammys. He has won a total of 24 Logies, including the TV Week Gold Logie for Most Popular Personality On Australian Television in 1980, and was inducted into the TV Week Logie Awards‘ Hall Of Fame in 1999. Heartiest congratulations, Tina! Well deserved! I’m absolutely sure all your colleagues on YTT, Johnny Young himself included, would be cheering loudly for you! Here is another well-deserved Order Of Australia award! Mike Walsh is truly the KING of the talk-show hosts! I sincerely hope he’s still with us! Mike Walsh was never ever in awe of his guests, no matter who they were! He put himself on an equal level with them… Rock & pop singers, movie actors(male or female), politicians, even royalty! Other talk show hosts(Parkinson included) were never in the same league as Mike Walsh, Walsh put all the others “in the shade”. Congratulations, Mike, you truly have earned this accolade! I also watched and enjoyed YTT from when NBN took the show in mid-to-late 1971 until the time they arbitrarily ripped it off the air in 1975(about September). NBN brought the show back on air in 1980 but by that time, all the original members had gone, Greg Mills was working his way toward becoming musical director for the show. Tina, with (Little) Johnny Bowles, had been with the show since 1977 but by the time I got to see the show again, it had been irreparably damaged by heavy influence from sponsorship of a certain fast-food franchise. Animal characters and puppets, and a strong leaning away from the talent angle, toward the “cute kid that sings” angle had immeasurably spoiled the show. Even Rod Kirkham expressed similar sentiment in the “Profile” section of the Young Talent Time Tells All” DVD. Kirkham(who’ll be 61 years old in October, this year) felt embarrassed to watch the show in its latter years because of the damage wrought on the show by that fast food chain’s undue influence. When Tina Arena became judge on YTT Mk.2 in 2012, She did Evie Hayes proud! And when she got the Order Of Australia award, that was the icing and the cherry on top of a very delicious cake! if it wasn’t for said sponsorship there is every chance the show would not have lasted as long as it did. Whether it would’ve lasted with or without the sponsorship is debatable, Andrew B. But Young Talent Time(Mk.1) was severely compromised in its quality by the franchise’s undue influence, which swung the emphasis away from talent, and heavily toward the “cute kiddie” angle. When the show started on 24th April, 1971(Saturday evening), the emphasis was 100% on the talents of Jamie Redfern, Rod Kirkham, Jane Scali, Debbie Byrne, Vicki Broughton and Philip Gould. There was no need for puppets or animal characters(people dressed in suits to represent a mouse or dog), the show worked brilliantly without it. This year will mark 45 years since that prime-time debut on Station ATV-Melbourne. I too considered Ray Martin a poor choice to host such a show in the same style as Mike Walsh, and Derryn Hinch was even less likely a candidate. 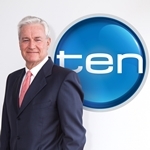 By the time Kerry-Anne Kennerley took over, the format which Mike Walsh began, had been corrupted into a flogfest with a talk-show veneer. Whether Kennerley herself had a hand in such corruption is not proved. But still, the format had been irreparably damaged and deserved its axing. That Martin did as well as he did, was mostly down to the core of remnant crew, including Geoff Harvey, the musical director(and his pet ferrets, ha-ha) and his studio orchestra, who helped Martin look good. I really couldn’t comment on Melissa Doyle, I try not to watch anything more than “Home And Away” on Prime Regional TV. I detest seeing Sydney faces presenting news on regional screens, that’s why I only watch NBN News, because it’s a full-scale comprehensive bulletin, going out 7-days-a-week, 6.00 to 7.00pm and produced by a REGIONAL station! If I watch any other news bulletins, they are by the NATIONAL broadcasters, ABC and SBS, which are supposed to have wider viewing audiences. ATN, TCN and TEN are only supposed to serve the Sydney area, NOWHERE ELSE! It’s their affiliates who are supposed to serve the regions outside the capital cities! Must be what I ate! Gotta lay off those radishes….. those radishes…… those radishes…… ha-ha! Where does the rules state that ? Harking back to YTT, my fondest memory is of Sally Boyden in 1973(her first year on the show, she’d not long earlier turned 8 years old), She performed the Gilbert O’Sullivan song “Nothing Rhymed” and blew me away with her stunning rendition of the song. Johnny Young should’ve got her to record it, the record would’ve been a certainty to top the charts! For the B-side she could’ve done the old Stone Poneys/Linda Ronstadt song, “Different Drum”, that would’ve landed her a double-sided chart-topper!